I love making different cookies and quick breads but I seem to get in a bit of a rut when it comes to desserts. I tend to make apple crisp, Coca-Cola Cake, Southern peach cobbler and a few other favourites over and over again. 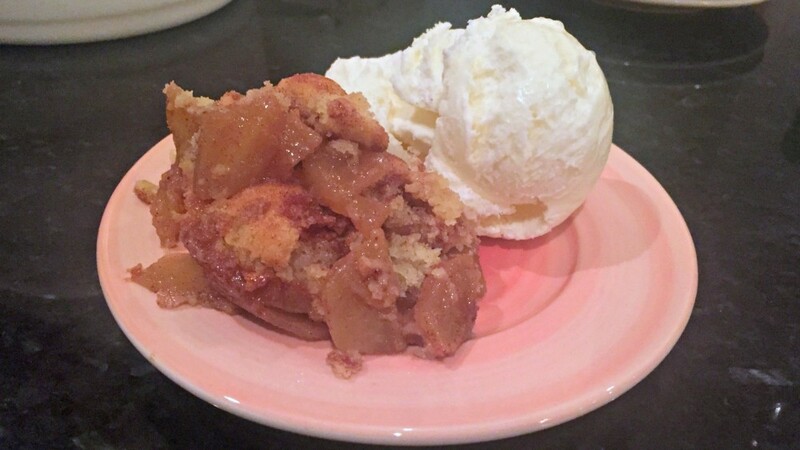 It was time to branch out…maybe an apple cobbler recipe? Cobbler is a favourite in our house. I grew up in the South so cobbler is a staple dessert for me. 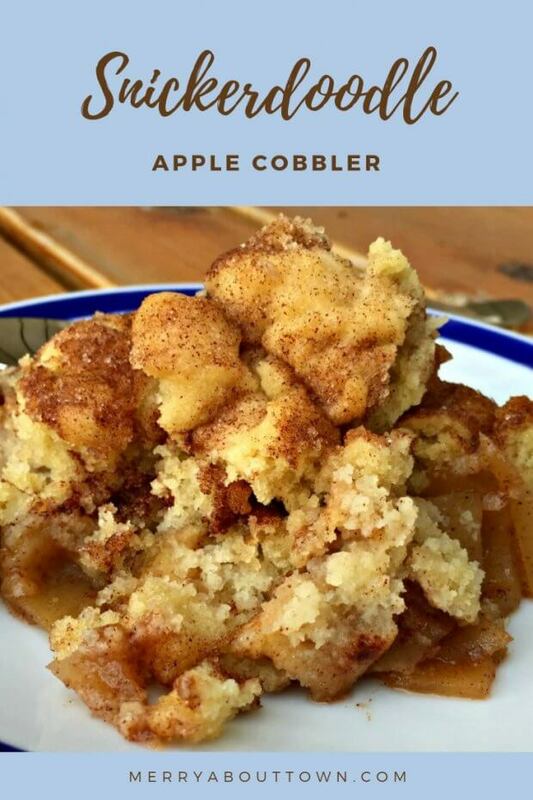 What makes cobbler different than the crisps that so many people make? Well, crisps are usually covered with an oat-based topping while cobblers are topped with a biscuit or batter topping. This apple cobbler recipe is a bit out of the ordinary with a unique topping. Off to Pinterest I galloped. 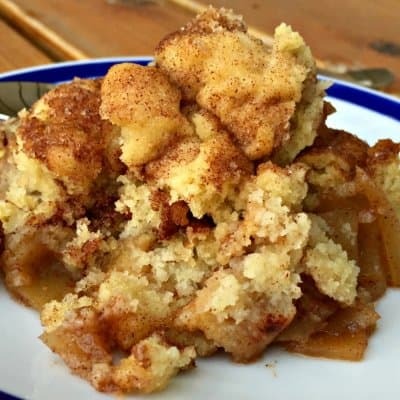 I found a delicious looking recipe for a Snickerdoodle apple cobbler. I loved the idea of apples covered in a cinnamon-y sugar cookie crust even though it was a little different than the usual biscuit topping. Yum. Unfortunately, the recipe I found had tons of steps and wasn’t as simple as the recipes I make in my own kitchen. So, I decided to try it my own (easier) way. It worked out beautifully and our guests raved. Delicious apple filling, sugar cookie cobbler topping and cinnamon and sugar sprinkle to make it extra decadent. A Southern dessert favourite with a twist. Need a dessert for a potluck? I’ve taken this Snickerdoodle apple cobbler recipe quite a few times and it always gets compliments and a request for the recipe. Plus, you likely have all the ingredients needed in your pantry right now. 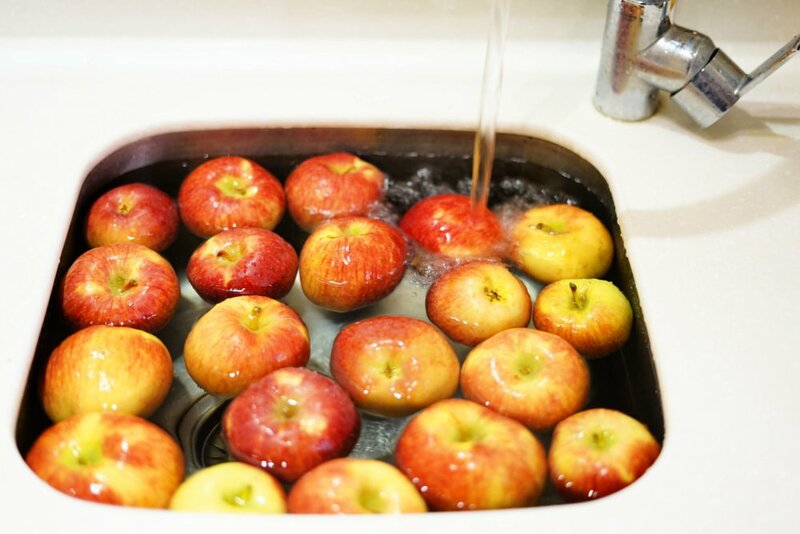 Love apples? 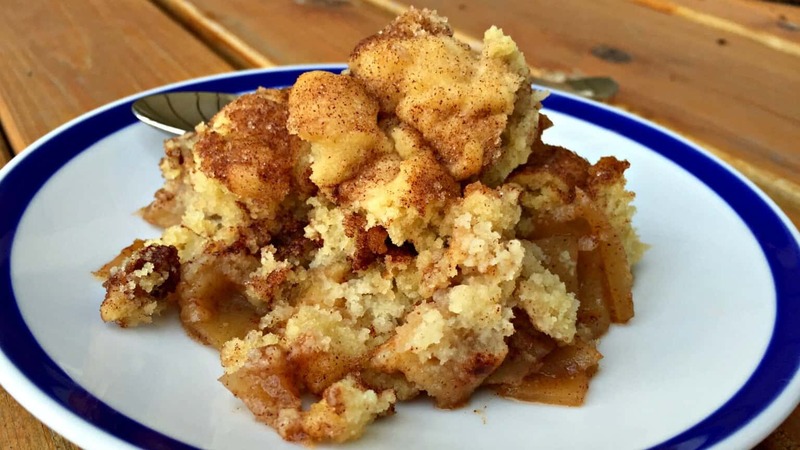 Try this easy and delicious recipe for Snickerdoodle Apple Cobbler. Apples come together with a Snickerdoodle cookie crust. Toss apples, sugar, cinnamon and nutmeg in a medium bowl from the Apple Filling portion of the recipe. Pour into a 9X13 glass baking dish. Cover with pats of butter. In a stand-up mixer, cream butter and sugar (from the Topping section of the recipe). Add the egg and vanilla extract. Mix well. Add baking soda, cream of tartar and salt and slowly add the flour. Mix until combined. Drop tablespoonfuls of the sugar cookie dough on top of the apple mixture in the 9X13 pan covering it evenly. In a small bowl, mix the granulated sugar and cinnamon. Sprinkle over the sugar cookie top. Bake for 35-40 minutes. Serve warm with vanilla ice cream. Yum! Snickerdoodle is one of my favorite flavors ever. This sounds heavenly!! !